Green Day frontman Billie Joe Armstrong is thrilled with the band’s induction into the 2015 Rock And Roll Hall Of Fame. Formed in 1987, the San Francisco Bay-area band are headed to the Hall alongside Stevie Ray Vaughan and Double Trouble, the Paul Butterfield Blues Band, Joan Jett and the Blackhearts, Lou Reed, Bill Withers, Ringo Starr and the “5” Royales. "I had to go for a walk," Armstrong tells Rolling Stone. "I wound up at this cafe and I sat down and my son met up with me. I told him and he was like, 'Oh my God. No way.' It just took some time to sink in. We're in incredible company and I'm still trying to make sense of this. It's just incredible." 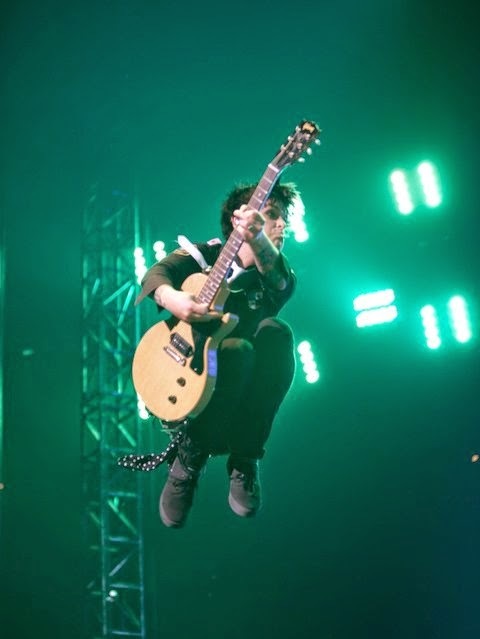 Green Day first attended a Rock Hall induction in 2002. While the frontman says the band are “all in a surreal state right now” processing the news, he expects the group will perform at the ceremony and was asked how they’ll select the three songs for their induction performance. The 30th Annual Rock and Roll Hall of Fame Induction Ceremony will take place on Saturday, April 18 at Cleveland’s Public Hall. Tickets go on sale Thursday, December 18 at 10 a.m. EST.